Our world, for better or worse, is increasingly illuminated as cities grow and populations develop once unused land. To the amateur astronomer, light pollution is definitely a change for the worse, as those trying to observe the faintest and most distant objects find themselves either competing with ambient light or driving (or flying) to ever more distant locations away from the glow of the cities. The Syracuse University Lecture Series (lectures.syr.edu) will be featuring a talk on March 19th by renowned photographer Jim Richardson on the subject of Light Pollution. Details are below. Jim Richardson is a photographer for National Geographic Magazine and a contributing editor of its sister publication, TRAVELER Magazine. 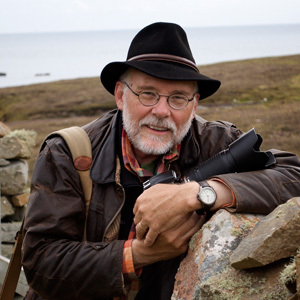 Richardson has photographed more than 25 stories for National Geographic. His work takes him around the world, from the tops of volcanic peaks to below the surface of swamps and wetlands. ABC News Nightline produced a story about the long process of assembling a National Geographic coverage by following Richardson in the field and at National Geographic Society headquarters in Washington, D.C. In addition to his color photography, Richardson has built a distinguished body of black-and-white documentary work about rural Kansas life. His audiovisual presentation, “Reflections From a Wide Spot in the Road,” has toured internationally. A 22-page story about his 30 years of photographing life in the north central Kansas town of Cuba, population 230, was published in National Geographic and featured twice by CBS News Sunday Morning, most recently in May 2004. His 1979 study of adolescence, “High School USA,” is now considered a photo essay classic and is used in college classrooms. Richardson speaks nationally and internationally. He lives in Lindsborg, Kansas, where his work is featured at his gallery, Small World. The University Lectures has brought to the Syracuse University campus and the Central New York community some of the world’s most dynamic, influential and inspiring movers and shakers. Previous guests have been world-renowned academicians, architects, designers, writers, business and media experts, and statesmen, who have all helped to shape the world in which we live.